As part of their work with food, pupils should be taught how to cook and apply the principles of nutrition and healthy eating. 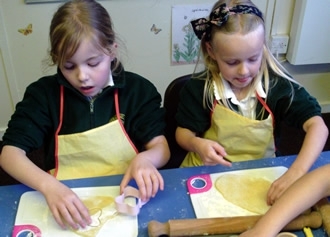 Instilling a love of cooking in pupils will also open a door to one of the great expressions of human creativity. Learning how to cook is a crucial life skill that enables pupils to feed themselves and others affordably and well, now and in later life. 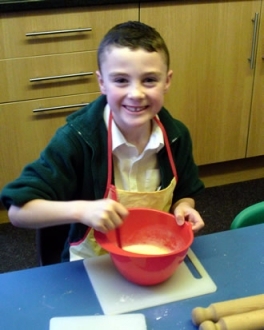 Every child in Key Stage One and Two will take part in cooking a healthy recipe in school, on a Friday afternoon. In Neptune and Jupiter: each child will help measure, prepare and discuss ingredients used in seasonal savoury recipes and discuss the importance of healthy eating. In Mars class: children will carry out different seasonal recipes and discuss where the ingredients come from. In Pluto class: Children will explore foods from different cultures and discuss health eating within their class at different parts of the year. Within the Edison curriculum all children will have a chance to carry out additional cookery and /or healthy eating activities. We have various scheduled tours available. Copyright © 2010- North Road Primary School | Website Designed by E-Limelight Ltd.